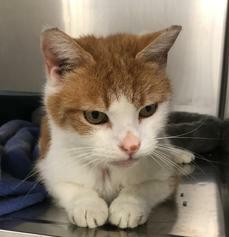 Hunter is a sweet, mellow, shy orange / white short haired cat, approx. 6 years young. He is adorable, with gorgeous eyes, healthy and calm. He has had a hard life before we rescued him. He was living outside in the freezing cold, alone and homeless. He is a real sweet cat, he is shy but coming around. He is in need of a reliable somewhat quiet foster home, patient person who will give him alot of love, and patience. 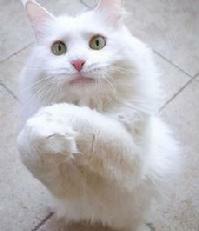 Hunter would be best in a home with at least one other cat that likes cats also. WE PROVIDE EVERYTHING for foster homes. Please open up your heart and home to Hunter. CRYSTAL IS LOSING HER FOSTER HOME AS THEY ARE MOVING. SHE WILL BE SO SAD TO BE BOARDED. PLEASE HELP US TO HELP CRYSTAL. SHE'S IN EXTREME URGENCY FOR A RELIABLE FOSTER HOME UNTIL PLACED. 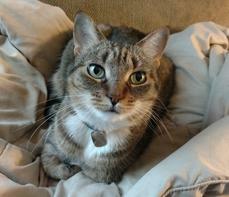 SHE IS AN ADORABLE BROWN TABBY MIX, SHORT HAIRED FEMALE SPAYED CAT, WITH GREEN EYES. SHE IS APPROX. 6 YEARS YOUNG, AFFECTIONATE, MELLOW, LOVES ATTENTION. SHE MAY BE JUST SLIGHTLY SHY AT FIRST AND THEN SOON AFTER COMES AROUND AND IS A LOVEBUG. SHE IS OK WITH SOME MELLOW CATS. SHE IS FINE WITH MOST CALM OLDER DOGS. SHE WOULD BE WONDERFUL COMPANY FOR SOMEONE ALONE. SHE WILL BE YOUR BEST FRIEND. SHE HAS HAD A TOUGH LIFE BEFORE BEING RESCUED. PLEASE OPEN UP YOUR HEART AND HOME. We are in need of donations to continue our cause. food, supplies and more to ensure the best of health and happiness they so deserve. We are tax deductible, and your donation, large or small, will help us to continue our mission. Amazon.Smile is a program where Amazon donates 0.5% of the purchase price of eligible products to the charitable organization of your choice. To help us out, please visit AmazonSmile and search for/select Pet Protectors Inc (of Fairfield, CT). to homeless and orphaned animals. are the ones needng to be rehomed. for the animal and the pet owner.